Ghana’s Football Normalization Committee has stated it is fully behind Kwasi Appiah, head coach of the senior men’s national football team, the Black Stars, as he prepares to lead the nation to the 2019 Africa Cup of Nations in Egypt. 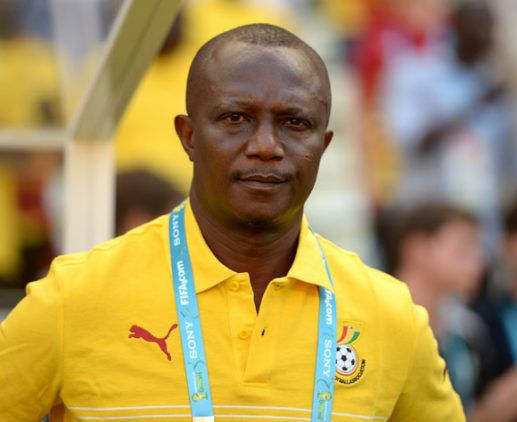 In a press statement released an hour ago, the interim Ghana Football Association, stated “Contrary to media reports, Coach Kwesi (sic) Appiah enjoys the total support of the Normalization Committee as he gets ready to begin preparations for the next Afcon in Egypt. Yesterday, the NC president, Dr. Kofi Amoah is reported to have stated, among others, during a programme on Adom TV’s Fire-for-Fire sports programme, that Kwasi Appiah’s contract – which is due to expire in April – would be extended to cover the 2019 AFCON in Egypt, scheduled from June 15 till July 13. The NC capo warned, however, that the coach would be fired – per the terms of his original contract – if he did not win the 2019 AFCON. Following that, a number of analysts and critics have taken a swipe at the NC capo, some describing his warning as bereft “of sporting integrity”, citing the fact that Kwasi Appiah was contracted to win the competition, originally a 16-nation tournament scheduled to be hosted by Cameroun, in January 2019. Indeed, the continental football governing body, CAF, expanded it to a 24-nation competition. Owing to supposed compliance breaches, it stripped Cameroun, and awarded Egypt on January 9, 2019, the hosting rights after it won a landslide 16-1 bidding victory over South Africa. In the course of time, the GFA that contracted coach Appiah ‘lost power’, following an expose by investigative firm, Tiger Eye PI, headed by renowned investigator, Anas Aremeyaw Anas, that showcased that FA’s president, Kwesi Nyantakyi, and a number of the FA’s executive committee members in compromised fiscal positions breaching, among others, the code of conduct of FIFA, the sport’s world governing body. Subsequently, FIFA banned Nyantakyi for life, and substituted the entire executive committee with a four-member Normalisation Committee, presided over by Dr. Kofi Amoah, effective September 13, 2018 with a mandate ending March 31, 2019. The other members of the Normalisation Committee include former Managing Director of Airtel telecom company, Mrs. Lucy Quist (Vice President), and two lawyers, Mrs. Naa Odoforley Nortey (member) and Duah Adonten (member). In the said NC statement, it stressed that “The GFA has no interest in putting pressure on Coach Appiah, but will rather provide the necessary mechanism to facilitate his role in achieving the nation’s quest. It said, however, that ” … the Normalization Committee believe in Coach Appiah’s ability to lead Ghana’s campaign to win AFCON 2019, a goal of H.E President Akufo Addo” and asked the public for its full support for the attainment of “the common goal of winning the trophy in Egypt”.